1. 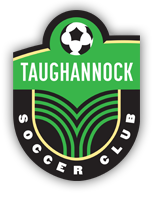 Name The name of this organization shall be the Taughannock Soccer Club, a New York State not-for-profit organization. 2. Philosophy and Mission Statement The primary objectives of the Taughannock Soccer Club shall be education and fun for all youth and adult participants. No player shall be excluded from Club activities due to inability to pay membership or player fees. Every player can expect to play at least half of every game he or she attends. a. To foster, teach and advance the game of soccer by developing, promoting, and administering recreational and competitive soccer for all ages (youth and adults). b. To encourage and support a competent staff of adult volunteers (coaches, managers, referees, board members, etc.) through exposure to continual developmental and training programs. c. To advance the soccer skills of all players through age-appropriate player training provided by qualified coaches. d. To promote and encourage recreation, physical fitness, and a community spirit around the sport of soccer. e. To foster and encourage sportsmanship and leadership among all players, coaches, volunteers, and parents. 4. Fiscal Year The fiscal year of the club shall begin on the 1st day of August and end on the 31st day of July of each year. a. Membership: The membership of the TSC shall be open to any soccer players, coaches, managers, administrators, and officials not subject to suspension under Section 4 of Bylaw 241 of the USSF Bylaws. b. Governing Documents: The USSF articles of incorporation, bylaws, policies and requirements take precedence over and supersede the governing documents and decisions of the TSC to the extent applicable under state law, and the TSC shall abide by those articles, bylaws, policies and requirements. c. Interplay: The TSC shall abide by the USSF’s articles, bylaws, policies and requirements on interplay. d. Hearing and Appeal Procedures: The TSC shall provide equitable and prompt hearing and appeal procedures to guarantee the rights of individuals to participate and compete. All grievances involving the right to participate and compete in activities sponsored by the USSF, the NYSWYSA, and the TSC may be appealed to the USSF’s Appeals Committee in accordance with NYSWYSA bylaws and policies. The USSF’s Appeals Committee shall have Jurisdiction to approve, modify or reverse a decision. A decision rendered by the TSC or the NYSWYSA from which an appeal is taken is not suspended pending the final decision of the USSF’s Appeals Committee unless the Committee otherwise ordered. The decision made by the TSC or the NYSWYSA may be upheld, revised, or reversed and remanded by the USSF. 1. Nondiscrimination Policy Membership in the TSC shall be made available without regard to race, color, age, gender, religion, national origin, sexual orientation, or degree of physical or mental ability. 2. Membership A member is defined as a player or a parent or guardian of a player currently registered with the TCS. A coach, manager, or administrator is a member also, if not already by nature of being a parent or guardian of a player. Membership shall be recognized upon (1) payment of a membership fee to the Club Treasurer; the amount of said fee shall be determined by the Executive Board; and (2) receipt of a signed TSC Code of Conduct form. The period of membership will coincide with the NYSWYSA registration cycle (August 1 through July 31). Voting members of the TSC must be at least twenty-one (21) years of age as of the date of registration. 3. Termination of Membership The membership of any member shall be terminated upon death, or the member’s written request for termination delivered to the President or Secretary of the Club, or upon the member’s expulsion by the Board. On termination of membership, any right, title, or interest of the member in or to the property and assets of the Club shall cease. a. Grounds for Suspension or Expulsion: Any member may be suspended or expelled from the TSC for willful infractions of the TSC rules or Bylaws, or the TSC Code of Conduct, or for acts of conduct that the Board may deem disorderly, injurious, or hostile to the interests or objectives of the TSC. The Board must give notice to such offending member of the proceedings against him or her, and he or she shall be provided an opportunity to be heard in his or her own defense. b. Initiation of Suspension or Expulsion: Proceedings of suspension or expulsion shall be initiated by resolution of the Board or on complaint against any member signed by ten (10) other members and filed with the Secretary. On adoption of the resolution or receipt of the complaint, as the case may be, the Board shall schedule the matter to be heard at the first regular, or a special, meeting of the Board. The Secretary shall deliver to the accused member, at least five (5) days prior to the date of the hearing, a copy of the time and place of hearing. c. Hearing: The President shall preside at such hearing and shall read the charges against the accused member. Such member shall be allowed to make a statement on his or her own behalf, question opposing witnesses, and call witnesses on his or her own behalf. d. Determination of Hearing: The Board may, by the affirmative vote of a majority of its members, request the offending member to resign, or may suspend or expel the member. Should he or she decline to resign following such request, the Board shall strike the member’s name from the rolls. e. Reinstatement: No person, who has been expelled from the Club, may have a new membership considered for a period of less than two (2) years. Reinstatement of membership shall be possible following an affirmative vote of a majority of the Board. f. Proceedings: All such proceedings shall be in compliance with the requirements of the USYSA, USSF and NYSWYSA. a. Annual Meeting: The Annual Meeting of the TSC for the election of the members of the Board and the transaction of the general business of the Club shall be held during the month November at a time and place to be determined by the Executive Board. Notice of the Annual Meeting, including starting time, location and agenda shall be communicated to the membership no less than ten (10) days in advance thereof. b. Special Meetings: Special meetings may be called at any time by the President or by the President on written request of a majority of the Board or at least 10 percent of the entire membership of the Club. In the absence of the President, a Vice-President or the Secretary may call the meeting. Ten (10) days’ notice of any special meeting must be given to the members of the TSC. The notice must state the starting time, location and agenda of the meeting. c. Quorum: Club members present shall constitute a quorum at meetings of the TSC. Each member is entitled to one vote and must be present to vote. There shall be no absentee ballots or proxies allowed. e. Parliamentary Procedure: Robert’s Rules of Order shall procedurally govern all meetings and proceedings of the TSC. 1. The Executive Board as Governing Body An Executive Board shall govern the organization. The Board shall have the power to adopt such policies and authorize such actions as it shall determine to be appropriate for the furtherance of the stated purposes of the Club. It shall have the power to establish an annual membership fee, and will determine the requirements and responsibilities of coaches and managers. It shall be subject only to such limitations as may be contained in its Bylaws, the laws of the United States, or the laws of the State of New York. Board members shall be at least twenty-one (21) years of age. 2. Composition and Term of Service The Executive Board shall consist of all the Club officers —President, Internal Vice-President, External Vice-President, Secretary, Treasurer, and Registrar—plus two (2) Delegates-at-Large. The Delegates-at Large shall have full voting rights and be responsible for tasks as deemed appropriate by the Officers of the Club. The term of all Board members shall be two (2) years, with the term commencing on January 1 and ending on December 31. The President, External Vice President, Treasurer, and first Delegate-at-Large shall be elected in odd-numbered years, and the Internal Vice President, Secretary, Registrar, and second Delegate-at-Large shall be elected in even-numbered years. 3. Election to the Board The Vice-President, whose term does not expire in the current year, or in his/her absence, such person as designated by the President, shall supervise the election of the Board held at the Annual Meeting. All votes shall be cast on an official ballot prepared by the Vice President. A majority of votes cast shall be required to elect. If a club member, who is nominated for office, is not present at the Annual Meeting, a letter of acceptance must accompany the nomination. A person may be nominated from the floor at the annual Meeting. Vacancies occurring on the Board shall be filled through nomination and election by vote of the remaining members of the Board as soon as practicable. The replacement shall serve on the Board for the remainder of the unexpired term of the vacancy. 4. Nominating Committee A Nominating Committee shall be formed at the August Board meeting. The committee shall be chaired by the Vice-President, whose term does not expire in the current year, and shall consist of two (2) additional members. Selection of the additional members shall be by blind draw from those interested. They shall present a full slate at the October Board meeting. Only those members, who have been active in the Club for a period of six (6) months prior to the October meeting and who are at least twenty-one (21) years of age, can be nominated. All nominations shall be accepted. 5. Management of TSC Property Property of the Club may be used in accordance with the directions of the Board. The Board shall not incur any debt or liability, or any combination of debts or liabilities, exceeding the net assets of the Club. All disbursements of Club funds shall be by check which shall be signed by the Treasurer and either the President or a Vice-President if in an amount exceeding $250, and by the Treasurer if in an amount of $250 or less. 6. Insignia, Logo, Colors, Badges and Flags The Board may adopt insignia, uniform styles, colors and emblems, and flags for the Club, as it deems suitable. The Club logo shall be a graphical representation of Taughannock Falls encircled by the name of the Club. The Club colors shall be kelly green and black. 7. Signatures on Contracts and Formal Documents Contracts and formal documents shall be signed by two officers of the Club, or by two of its members whom the Board shall designate. a. Regular Meetings: Regular meetings of the Board shall be held monthly on a day deemed most suitable by the Executive Board, and at a time and place designated by the Board. The President shall set the agenda for all regular meetings. The meetings shall be open to the public. b. Special Meetings: The President or a majority of the Executive Board may call a special meeting of the Board at any time. No other business but that specified in the notice may be transacted at such special meeting without the unanimous consent of all present at such meeting, provided that those present constitute a quorum. c. Notice of Meetings of the Board: The Secretary, or the person or persons calling the meeting, shall notify all Board members of the date, time, place and agenda for all regular and special meetings at least ten (10) days in advance of the meeting through whatever means are reasonably available as determined by the Board. d. Quorum: A minimum of 50 percent of the Board members shall constitute a quorum for the transaction of business at all meetings of the Board. e. Attendance: Any member of the Board who is absent from three (3) consecutive meetings without justifiable excuse may be removed from the Executive Board and any office held by a two-thirds majority vote of the Board, provided notice of such action is furnished according to Bylaw III, 8c. 1. Designation of Officers The Officers of the Club shall be the President, Internal Vice-President, External Vice-President, Secretary, Treasurer, and Registrar. 2. President: The President shall be the Chief Executive Officer of the Club, shall preside at all meetings and create all committees, shall appoint chairpersons to all committees within the Club, and shall oversee the daily operation and running of the Club. The President may co-sign approved checks with the Treasurer. 3. Internal Vice-President: The Internal Vice-President shall perform the duties of the President in his/her absence, and shall also work with the President on such internal affairs of this organization as Intra-Club tournaments or play, and public relations. He/she shall perform such other duties as are usual to the office or as requested by the President. He/she may co-sign approved checks with the Treasurer. During odd-numbered years, he/she shall supervise the Board elections at the Annual Meeting, and serve as the chair of the Nominating Committee. 4. External Vice-President: The External Vice-President shall work with the President on external affairs of this organization including league participation. He/she shall perform such other duties as are usual to the office or as requested by the President, and shall delegate persons to attend league meetings. He/she may co-sign approved checks with the Treasurer. During even-numbered years, he/she shall supervise the Board elections at the Annual Meeting, and serve as the chair of the Nominating Committee. 5. Secretary: The Secretary shall record the minutes of all meetings, keep records of those present, and supervise correspondence. He/She shall be responsible for past minutes and submit copies of the minutes of all Board meetings to the Board members before the next meeting. Board minutes will be available to members of the Club, after being accepted by the Board. Minutes of membership meetings shall be made available to and approved by the membership. All minutes and changes must be dated and housed permanently. 6. Treasurer: The Treasurer shall collect all membership and registration fees, shall be responsible for the deposits of all monies of the Club in a bank account authorized by the Executive Board, shall keep detailed accounts of the income and expenditures of the Club, shall submit monthly reports at each regular meeting as well as quarterly reports, and shall pay all bills approved by the Club. The Treasurer shall be bonded unless this requirement is waived by the Club, and shall also be responsible for insurance coverage. 7. Registrar: The Registrar shall maintain a computerized member database and shall be responsible for the registration of individual players, including confirmation of player’s age and player’s submission of signed copies of the Club’s mission statement and code of conduct. The Registrar shall be responsible for formation and distribution of team rosters, distribution of player passes, and may, at his or her own discretion, appoint an assistant (non-board position). 8. Delegate-at-Large: The Delegate-at-Large shall serve as a liaison between the Executive Board and the various committees that shall be formed in order to fulfill the responsibilities and purposes of the TSC. 1. These Bylaws may be amended by the Executive Board at any regular Board meeting by a two-thirds vote, provided that the amendment has been submitted in writing at the previous regular meeting and is included in the minutes for that meeting. Amendments made by the Board must be reported to the membership of the Club at the annual Meeting. These Bylaws may also be amended by a two-thirds vote of the membership present at an Annual Meeting. A notice of a proposed amendment must be included with the notice of a meeting, as per Bylaw II, 5a or Bylaw III, 8c. This Club may be dissolved by the vote of a simple majority of its members. In the event of dissolution, the property of the Club shall be distributed by transfer to the New York State West Youth Soccer Association, or to other such non-profit organizations as the Executive Board shall determine by resolution.